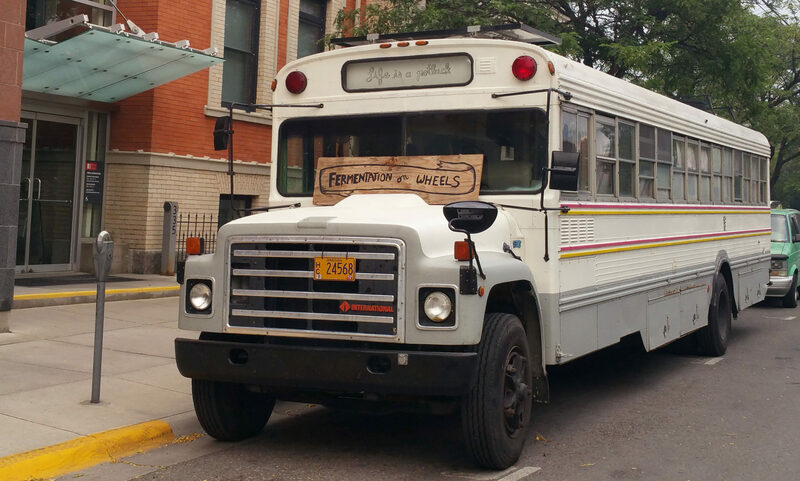 « Fermentation on Wheels: Destination Austin, TX! Join us for an evening of DIY adobe building and food fermentation followed by a potluck feast. From 6 to 7pm attendees will learn how to build adobe with Sandro Canovas of Adobe Alliance and/or discover vegetable preservation through fermentation with Tara Whitsitt of Fermentation on Wheels. Both educators will have free-flow D.I.Y. and demonstration set-ups, so you may try your hand at the practice and go home with your own. * Adobe holds the power to revive culture and tradition and provide sturdy insular shelter while the hidden life forces in fermented foods heal our bodies and promote sustainable food preservation. Both practices celebrate deep roots in tradition and sustainability. After the hands-on portion, we will have a feast! Bring your favorite dish or drink to share with all. During the potluck Sandro and Tara will lead a conversation on the intersection of adobe and fermentation, and how the two age-old practices empower communities, increase self-sufficiency, and introduce cultural resiliency. Some questions to think about for the potluck: How do you get your basic needs of food, water, and shelter? How does your process for acquiring food, water and shelter impact your community? Is your process sustainable in the face of disaster? How else can technologies and practices from ancient cultures improve our lives in the modern world? The Fermentation on Wheels bus, a bus-turned-lab, library, and workshop space, will also be present. Attendees are welcome on board to browse the books and taste the creations throughout the evening. Tara is embarking on a Mountain States Tour this spring and is excited to do three events in Texas, her home-state, before departing. She is especially excited to collaborate with Sandro of Adobe Alliance! We hope you’ll come experience the joy and power of adobe and fermentation with us. * To go home with your own ferment, please bring a jar from home.